Bataan 1st District Representative Geraldine Roman sounded Wednesday the alarm bell on the prevalence of HIV, or human immunodeficiency virus, among the Filipino youth. The politiko shared an Inquirer report, titled, “DID YOU KNOW: 3,100 youths diagnosed with HIV Jan-Nov 2018”, and captioned it with an expression of concern on the matter. “I call on our parents, schools and communities to spread awareness of this problem. We need to act now,” she added. 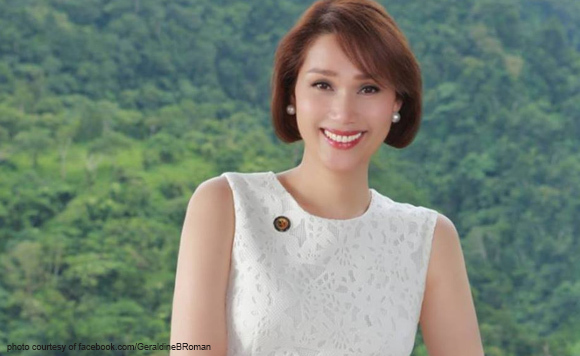 Roman said she is saddened that the 15-24 age bracket has the highest affectation rate in terms of HIV infection, making it an epidemic among the Filipino youth. “The children are our country’s hope… We should not allow this to continue,” she said.